Home Multichoice MultiChoice unveils Easter price offer! Lagos, Nigeria; 9 March 2018: Pay TV giant, MultiChoice Nigeria, has announced a special price offer to ring in Easter celebrations this year. The new price offer, tagged the Easter Explora Slash, will see subscribers enjoy up to a 64% reduction on the Explora decoder and subscription bundle. This offer is valid from March 9 to 31, 2018 and is open to new and existing subscribers. 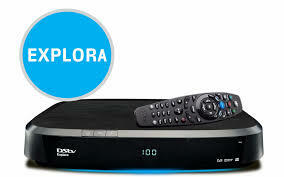 Subscribers can now purchase their DStv Explora decoders under this new price regimen in the Easter Explora Slash – the Explora decoder plus one-month Premium subscription now costs N38,300, down from N60,000, whilst an Explora decoder plus one-month Compact Plus subscription is now N33,500, down from N52,200. Furthermore, a one-month Compact subscription with Explora decoder will now go for N29, 900 against the old price of N51, 600. Subscribers on Compact and Compact Plus bouquets will continue to enjoy sporting content including football matches from all the world’s most prestigious leagues like the Premier League, Spanish La Liga and UEFA Champions League, as well as the upcoming FIFA 2018 World Cup which will feature expert commentary and analyses exclusively on SuperSport. Also available to viewers are world class movie titles and TV shows express from the United States, exclusively on DStv.